Rye cake with plums - it is something! Try everything! Personally I am very fond of cakes rye flour for its aroma, spice, intriguing acidity inherent in these cakes. 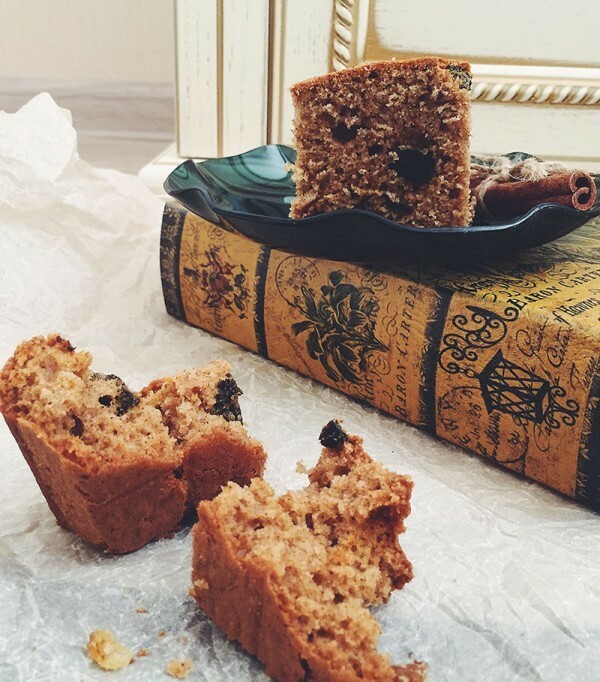 Rye cake with plums will love you if you love the smell of hot bread, gingerbread aroma, moderately moist texture. Why is country style? Because, firstly, the ingredients are the most that neither is a simple, but they sound downright's Farm! And if a glass of milk ... - song! To the best of sweet, tart is perfect for tea, and a picnic area. In general, it is worth a try. *If you want, you can use ordinary white flour. **The sugar in this recipe can be replaced with stevia or natural syrup (to taste). Connect in a bowl all the dry ingredients (flour, baking powder, spices). Beat eggs with sugar until fluffy foam (2-3 minutes). Butter Melt (for example, in the microwave). Prepare prunes: wash, cut in half. The dry mixture pour in the milk, butter, eggs and sugar. Mix a spatula, turn the dough thick enough. Add chopped prunes and mix again. Put in a preheated oven 180 degree minute 45-50 (check skewer ... and the aroma coming from the oven, do not cheat!). Note that the dough rises approximately 2 times! Before serving, rye cake with plums, it is desirable to cool. After - cut into cubes / strips, served with tea, coffee, milk, fruit drink.